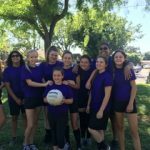 Job’s Daughters is an organization for young women that provides a safe place for girls to have fun, learn leadership skills, and be an active part of their community! Young women have an opportunity to bloom, lead, and soar, and Job’s Daughters gives them the tools to do exactly that. Through local gatherings, we provide a safe and fun place for girls to become confident women. Activities might include a movie night, scavenger hunt, local gatherings, and more fun things! Through business meetings, leadership camps, and organizing events and fundraisers, young women develop the leadership skills needed to be amazing leaders. Through Job’s Daughters young women are set-up to soar in whatever they put their minds to! There’s scholarships to help them get there, along with life-long friends and supporters. Our members have gone on to be nurses, lawyers, educators, parents, politicians, entertainers, and more. We desire that all members learn the skills needed to lead in their communities and thrive in their dreams. 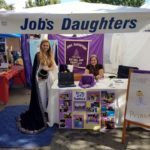 Interested in Job’s Daughters in California? Contact Us! 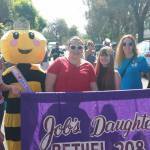 For more information on Job’s Daughters International please click here!